We are as much about providing solutions as we are about providing first aid, security and traffic safety personnel. We are fully accountable and perform your due diligence to reduce liabilities. 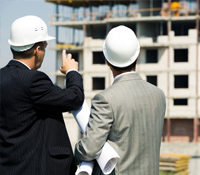 We bring a truly superior understanding of construction sites and their inherent challenges, and that insight allows us to offer enhances security patrols. Our personnel watch heaters, vents, valves as well as the movement of contractors and vendors. We can train your people or provide a fully functioning, professional workforce. We offer site fire prevention services, first aid, and all security services. And our advanced technology systems provide a auditable, verifiable record of all of our-or your-activities.